Russia and China are rigorously improving strategic ties to be better prepared for the challenges of today’s world, as the US resorts to deception, hybrid wars, and controlled chaos, the Russian defense minister said. In a frank interview with Italian magazine Il Giornale, Defense Minister Sergey Shoigu explained Russia’s strategy of keeping friends and deterring foes, and explained why Moscow has every reason to remain vigilant towards the US and its allies. “There’s no doubt, tensions in world affairs gave boost to strengthening Russia-China ties built upon mutual respect and trust,” Shoigu told the Italian magazine. Both powers enjoy lasting strategic relations, and their militaries jointly hone their combat skills in naval and air defense drills. Meanwhile, military ties between Moscow and Beijing are not limited to joint war games and political dialogue. 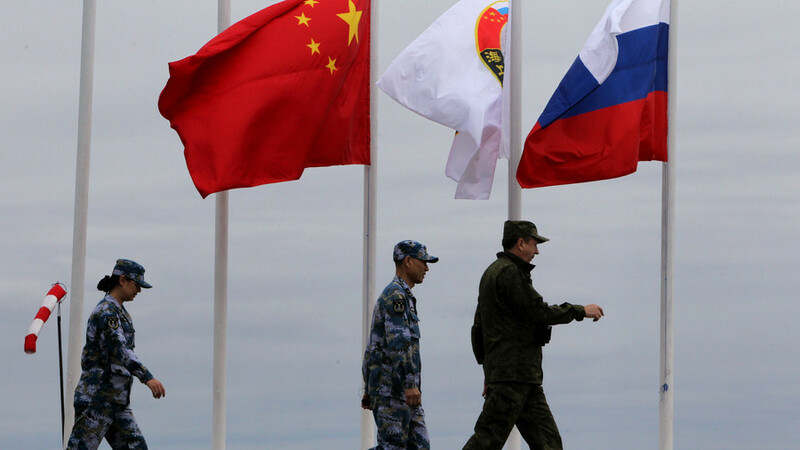 In April, China sent its top-tier delegation to the 7th Moscow Conference on International Security to demonstrate the unity of the Russian and Chinese militaries. The report quoted analysts who believe that the current international environment – including the anti-Russia hysteria in the West and the US-China trade war – will only strengthen the Moscow-Beijing alliance. Shoigu, who has served as defense minister for over six years, emphasized that Sino-Russian military activities are “purely defensive in nature” and have nothing in common with those of NATO and the EU. Further into the interview, Shoigu accused Washington of pushing a “neocolonialism strategy” which the Americans tested in Iraq and Libya. Dismissing Western allegations of “hybrid wars” being waged by Moscow, he said such warfare is known since time immemorial. To succeed in a hybrid war, one needs to have “global and all-embracing media,” dominate in IT and telecoms, control the world financial system, and employ Special Forces in other countries. “Who else, except for the US and Great Britain, has such a potential?” the Defense Minister said. Washington has widely utilized hybrid warfare in Yugoslavia, Libya, Chechnya, and, most recently, Syria, Shoigu maintained. According to him, the sequence continued when a Western-backed coup struck Ukraine in February 2014, where “nationalist fighters trained on American and European money” removed the legitimate president from power. Allegations that Russia is instigating a “hybrid war” began emerging in US and British media after similar subversive actions failed in Crimea, Shoigu underlined. While the US seems reluctant to mend ties with Russia, Moscow is keen to keep the door for the dialogue open. “Though I work as Defense Minister, I am convinced every issue can be and should be solved without resorting to military power,” Shoigu stressed.